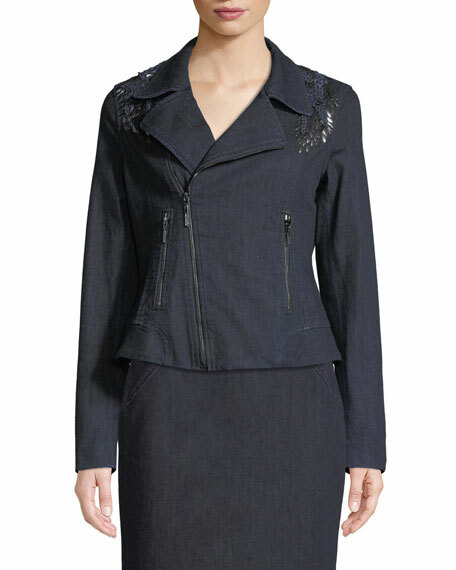 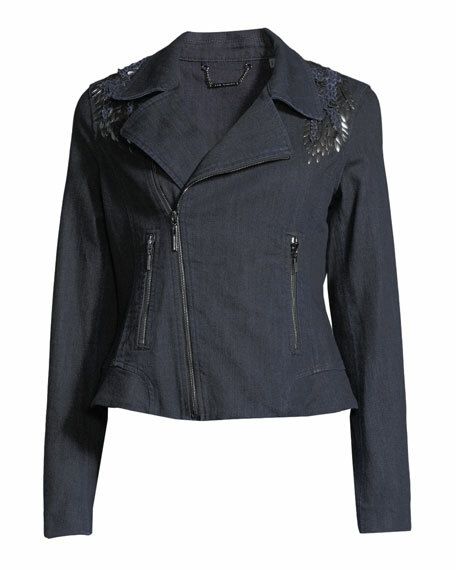 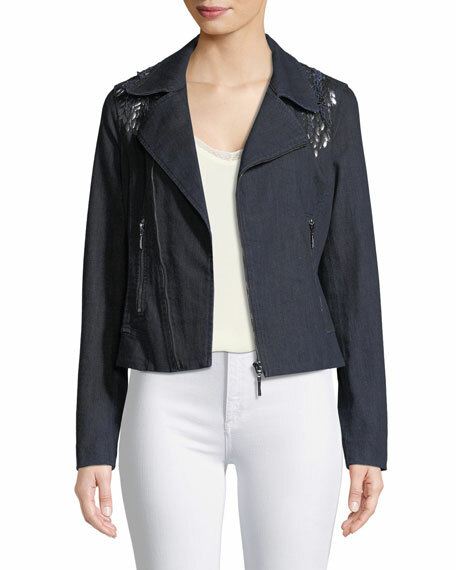 Elie Tahari "Mae" moto jacket in stretch-denim. 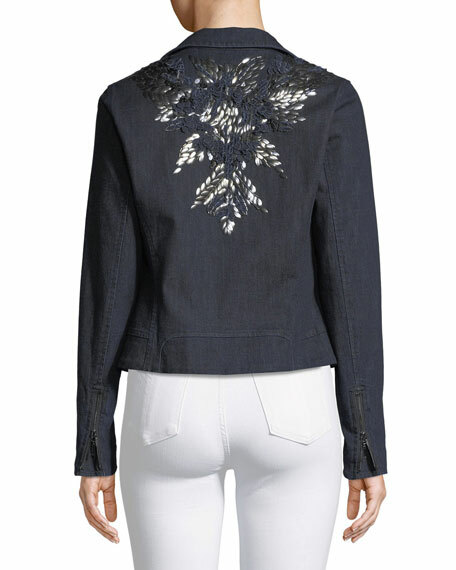 Long sleeves; lace-inset at shoulders. 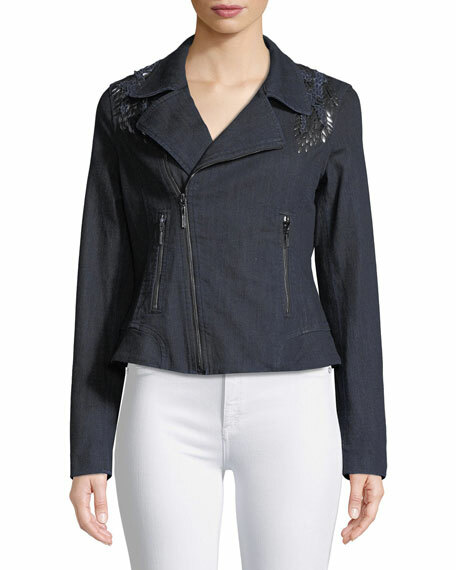 For in-store inquiries, use sku #2461998.